Blackjack The object of Blackjack is to beat the dealer by accumulating a higher score than the dealer without going over 21, or sitting on a lower score and hoping that the dealer "busts". Deuces Wild The object of Deuces Wild video poker is to attain the highest ranked poker hand, using two as a wildcard. The payoff for each hand is displayed on the video poker machine face. PLAY NOW » Craps On the first roll, the shooter tries to establish a point with one of the following numbers: 4, 5, 6, 8, 9, 10. If the shooter rolls a 7 or 11, the wager is paid off at even money. Blackjack S7 Blackjack Super 7 is a variation of Blackjack. The object of the game is simple - get a total card count higher than that of the dealer without exceeding 21. PLAY NOW » Jacks or Better The object of Jacks or Better Video Poker is to attain the highest ranked poker hand. The payoff for each hand is displayed on the video poker machine face. PLAY NOW » BM Poker Bermuda Poker is a variety of Poker. Unlike other Poker varieties where a player is pitted against other players, BM Poker pits the player against a dealer. 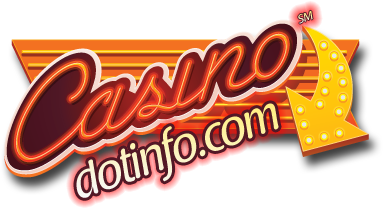 © 2006-2019 CasinoDotInfo.com may link to third party websites and software, including additional promotional links. We do not endorse, and are NOT responsible or liable for any third party content, products, or services available from such websites. Online gambling may NOT be legal in your jurisdiction. Do NOT gamble online unless you have verified that it is legal for you to do so.